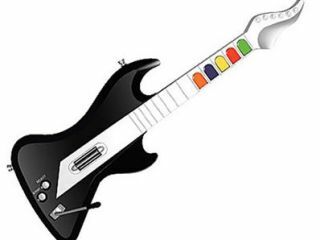 Activision has revealed that the mighty Guitar Hero III: Legends of Rock has netted them over $1billion in sales, making it one of the biggest selling games of all time. Activision's publishing CEO Mike Griffith claims that the game industry will be eclipsing other entertainment sectors such as music and movies in the years ahead. It is a claim we have heard many times from games publishing execs, but with those kind of sales stats to back up the argument, it gradually seems less like an empty boast and more like an achievable fiscal reality in the very near future. "Music has a history of evolving through technology and we are at the beginning of the latest chapter in that story," Griffith told the BBC. And in terms of World Tour's much-hyped user-generated feature, 25,000 songs were created in the first 10 days of the game being on sale and an impressive 141,000 songs have been posted so far. Griffith adds: "Movies, recorded music and TV - these are all stagnating or contracting entertainment sectors. Video games are poised to eclipse all other forms of entertainment in the decade ahead."